The aim of this lecture is to presentation on Data Modeling and Analysis. 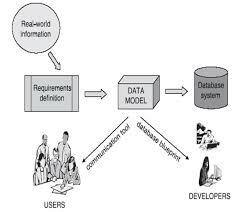 Data modeling in software engineering is the process of making a data model with an information system by making use of formal data modeling strategies. other objective of this lecture is to define systems modeling and differentiate between logical and physical system models and describe the basic concepts and constructs of a data model. Finally interpret an entity relationship data model and explain when data models are constructed during a project and where the models are stored.